Tuesday this week was all kinds of incredible, in so many different ways. It was my birthday and for the first time in a little while I wasn’t all ba-humbug about it and that little shift in mindset led me to have the best day! The day was filled with a lot of love and kindness from the get-go, I couldn’t have asked for more and I can’t help but feel so lucky and blessed. Parts of my birthday were quite surreal too but in an awesome kind of way. 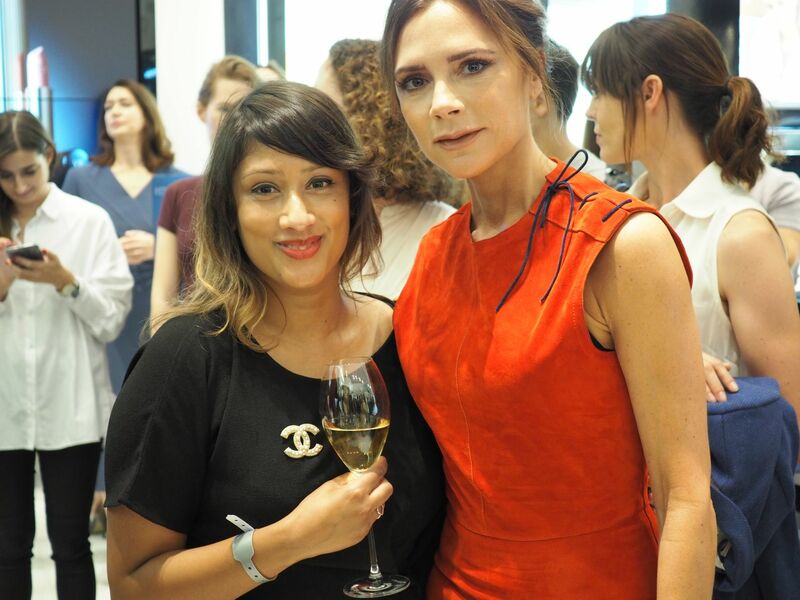 Some of you may have seen on my Instagram, that I got to meet Victoria Beckham on Tuesday, which was I’m not going to lie, pretty incredible! 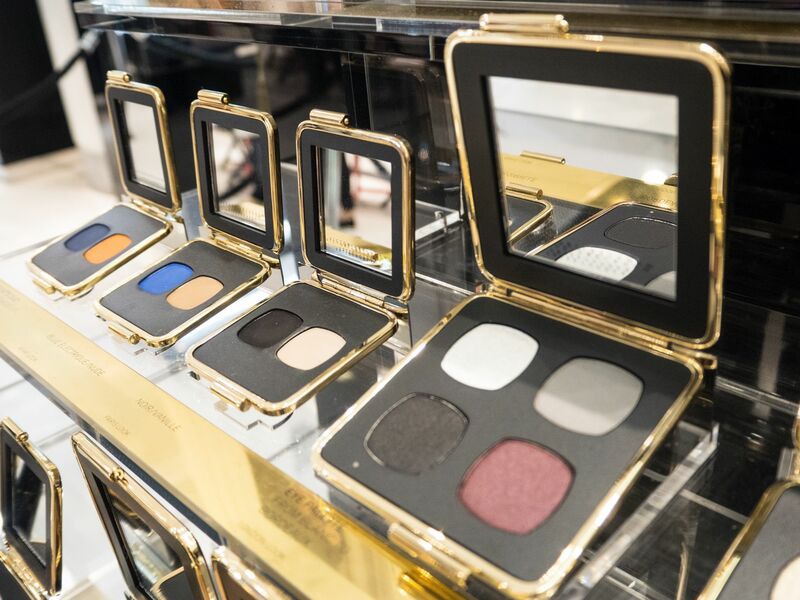 Victoria was hosting a launch event for her new makeup collection with Estée Lauder at Selfridges and by a huge stroke of luck, I’d received an invite to attend! I actually did a little squeal at work when I saw the email! The new collection officially launched on Friday 1st September with items selling out within the first day. 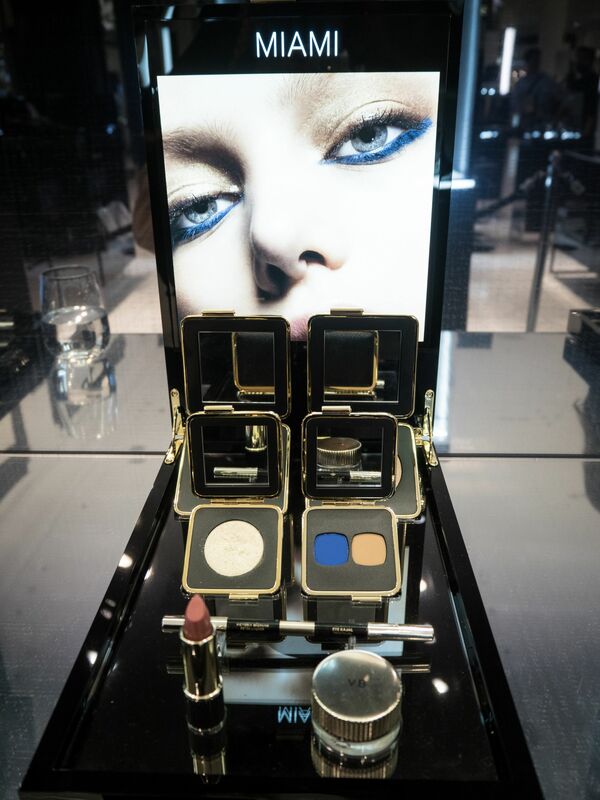 This collection is bolder and more extensive than the first collection, in fact double the size with the addition of a mascara, new lipstick shades, a pore perfecting powder and matte eye shadow palettes. 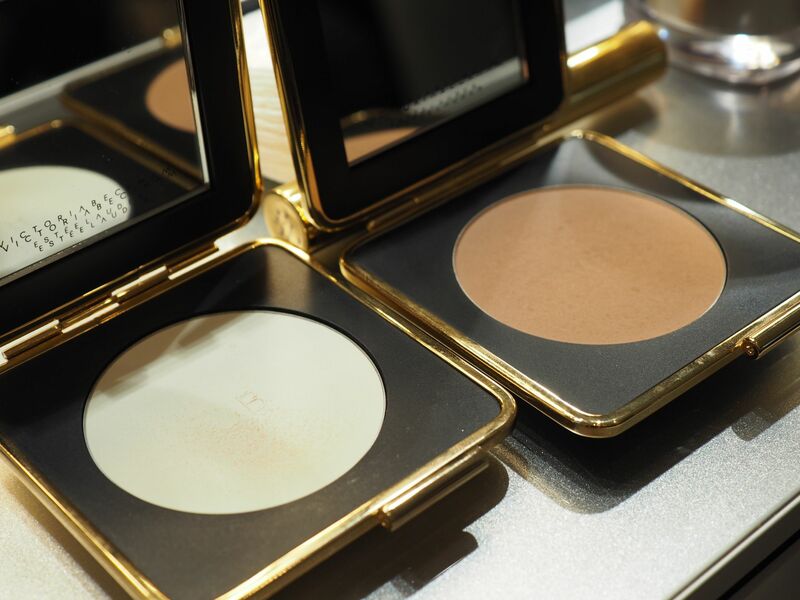 There are also staple products from the first collection such as the Morning Aura illuminating crème. 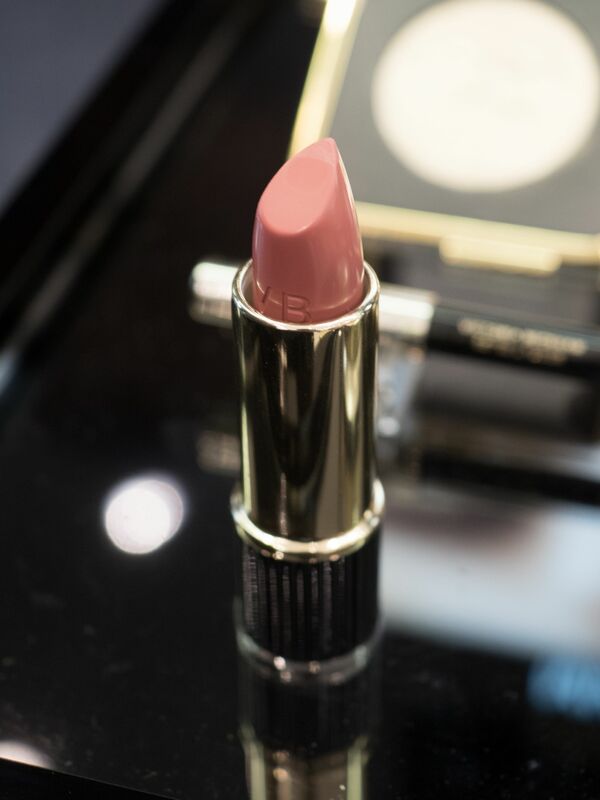 “With this makeup collection, I want to make women everywhere feel empowered, beautiful and confident. 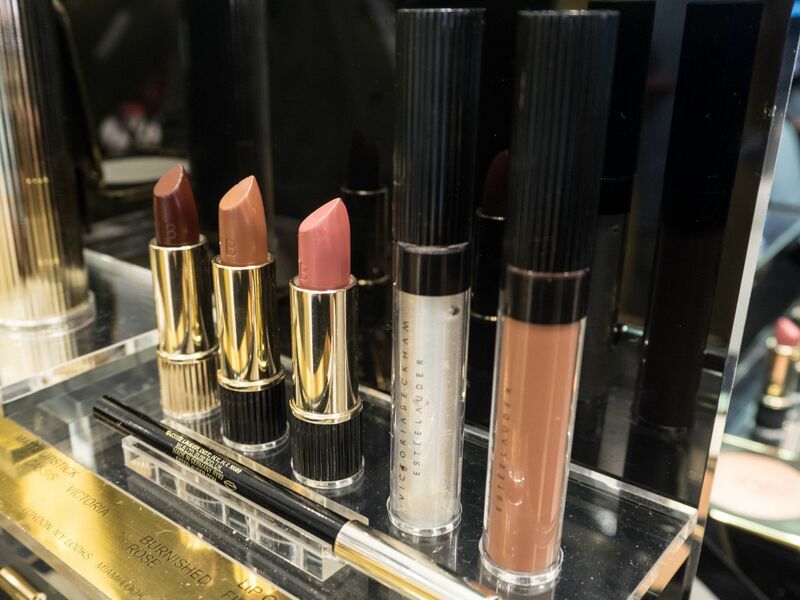 Inspired by my favourite cities in the World, this collection reflects my own personal beauty vision” – Victoria Beckham It was quite surreal to actually meet Victoria. I got the chance to directly ask her questions about her new collection and get makeup advice from her. 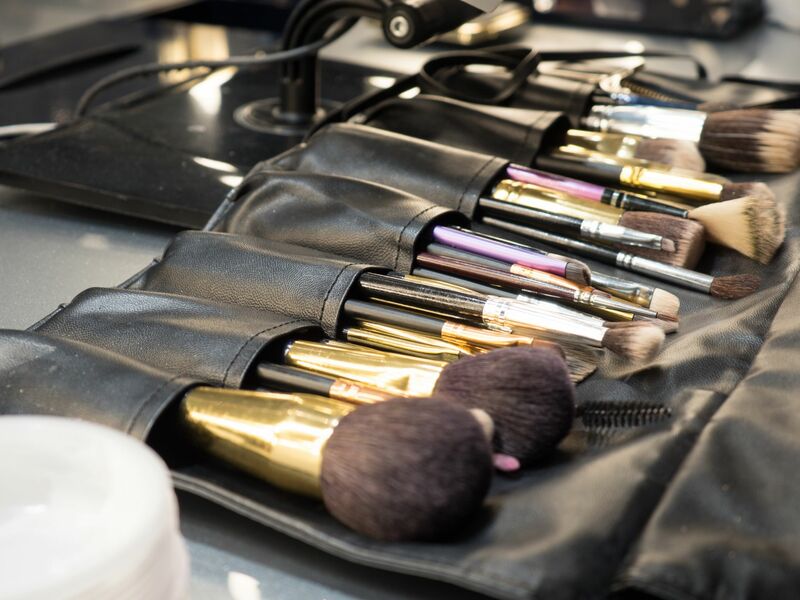 It was evident that a lot of thought has gone into the new collection, as Victoria was very passionate about the products and how they could be used to produce a range of looks. Victoria happily chatted away to me and other customers about it all. I asked her how she finds inspiration when designing her makeup collection, how does she pick the products and the colours she wants to focus on? Victoria told me her starting point is to think about the types of products she’d like to have in her own makeup bag, products which would translate to women everywhere. In terms of colour, Victoria is driven by her fashion collections and said it’s important to her that the collection reflected her fashion line. Colour is very important. I was very drawn to the Eye Matte Duo in Saphir/Orange VIF, but was a bit hesitant about the orange shade, so I asked Victoria for tips. She reassured me that the shade is very versatile. A great shade for a statement look on editorials when layered up, but equally great for the everyday as a warm brown tone. 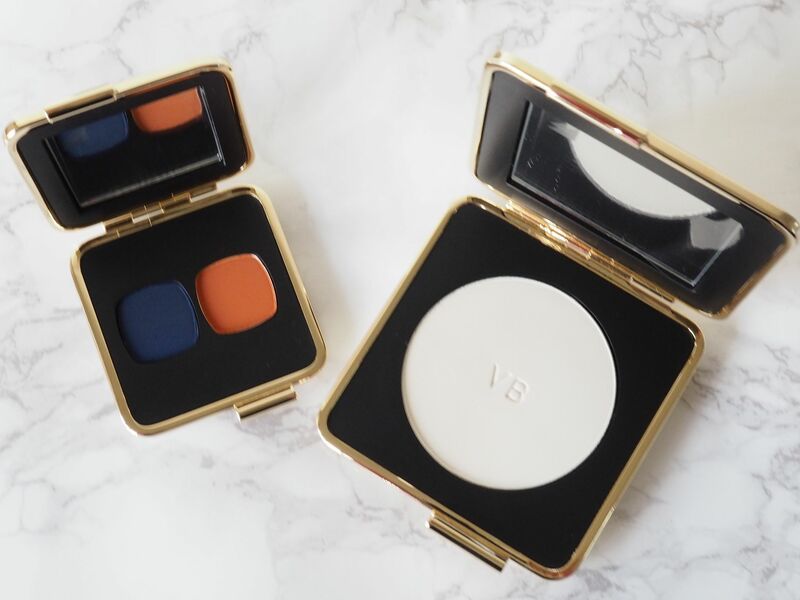 She went on to tell me how much she liked the Eye Matte Duo in Saphir Orange and had worn the navy shade when she went to the Palace to collect her OBE earlier this year. She also mentioned that David is a huge fan of the Morning Aura creme and is always borrowing hers. It was surreal, but strangely really normal too, I guess that’s what happens if you share a love of all things beauty. 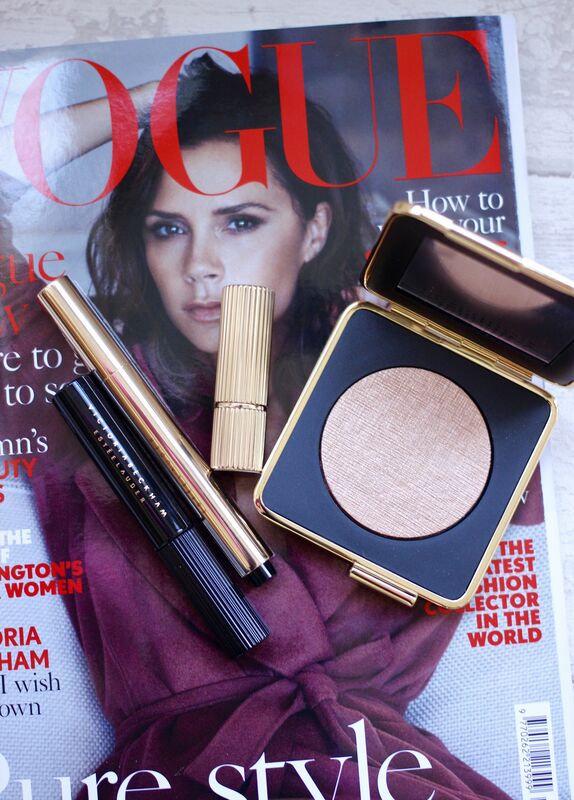 Some of the products from the first collection have had a revamp such as the Eye Foils. Victoria explained that “in the first collection these came in tubes and no-one really knew what they were so we’ve put them in pots.” I actually grabbed one of the eye foils when the first collection was launched and it’s been a game changer when it comes to creating a smoky eye look. The liquid eyeshadow creates a vinyl-like finish, and the sparkling pearl pigments give flecks of gunmetal foil for a gorgeous smouldering look. The new packaging makes it much easier to apply the Eye Foil with a brush or fingertips. I thought Victoria’s smokey eye look in the marketing images were stunning, so I asked her how she created the look. Victoria told me she used the Eye Metals in Bitter Clove as the base and then layered over the navy shade from the Eye Matte Duo in Saphir Orange VIF, adding a drop of the Eye Foil in Blonde Gold in the inner corner to make the look pop. Victoria was very excited about her new Pore Perfecting Powder. She recommended it to me and remarked that it’s a universal powder suitable for everyone and all skintones. 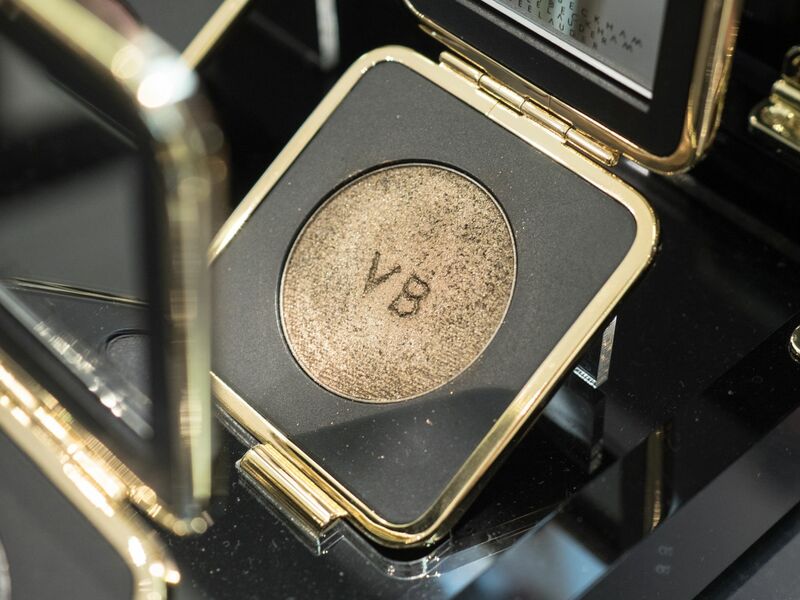 Victoria stated she “wanted something that closed pores, really perfected the skin, light in texture, but very effective, a colour that worked on all skin tones and something you could use throughout the day without looking cakey.” During my makeover at the event, I was able to try out the powder and wow it really is something else! My skin felt so smooth and even and it gave a flawless look to my makeup. The powder has sold out online but was available in Selfridges. I predict this will be one of the bestsellers from the collection. 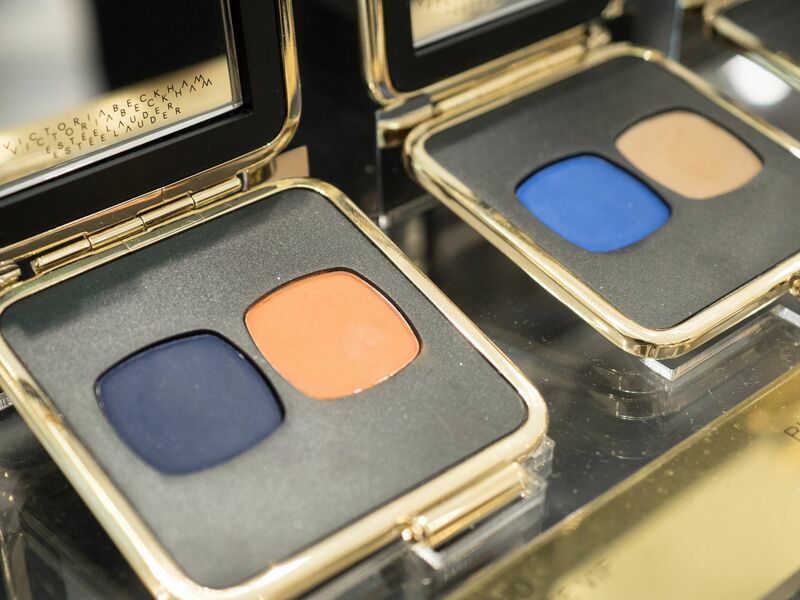 As they were in stock, I grabbed a Pore Perfecting Powder along with the Eye Matte Duo in Saphir/Orange VIF. 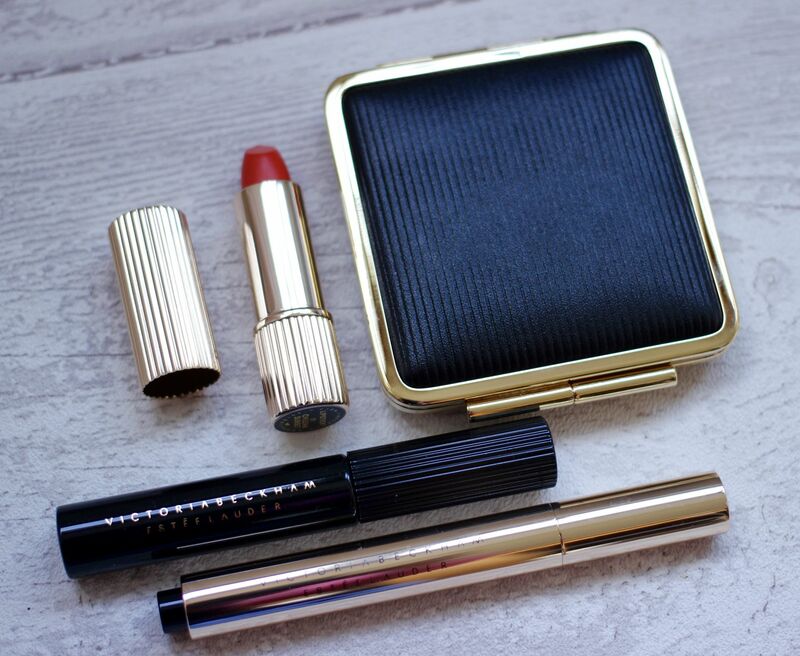 I’d previously picked up a few items from the first collection such as the lipstick in Chiliean Sunset, the eye foil as mentioned and the bestselling highlighter in Modern Mercury which is gorgeous, not to mention the packaging is dreamy! I was excited to hear about the new AW launch and it was lovely to update my collection with a few choice pieces! 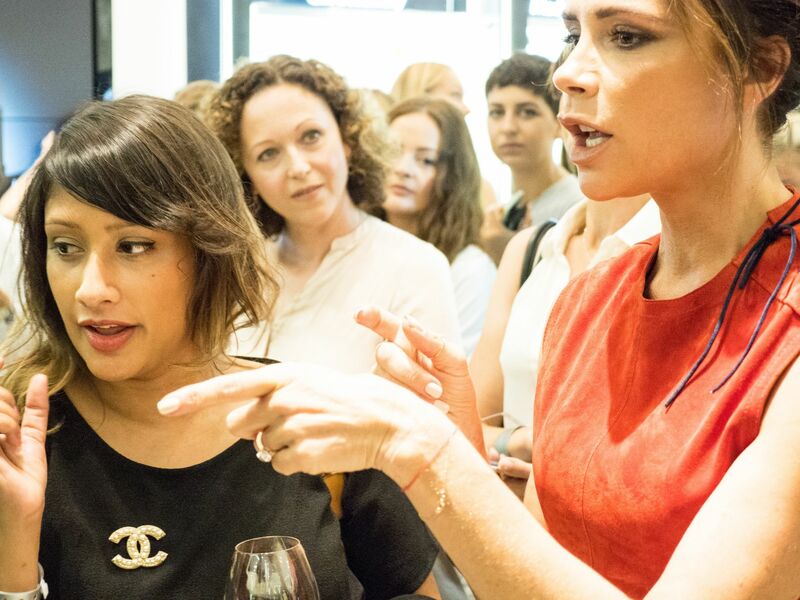 It was an amazing event, Victoria Beckham complimented me on my red lipstick, saying it really suited me as I’d mentioned it was Chilean Sunset from her first collection. She also wished me a very happy birthday and for once I didn’t totally fangirl, instead I thanked Victoria, saying it was lovely to meet her and remained totally calm and collected….until a few minutes after when I started messaging everyone I know!! After all it’s not every day you get to hang out with the Beckhams on your birthday! So happy that you got to meet/interview Victoria on your birthday. 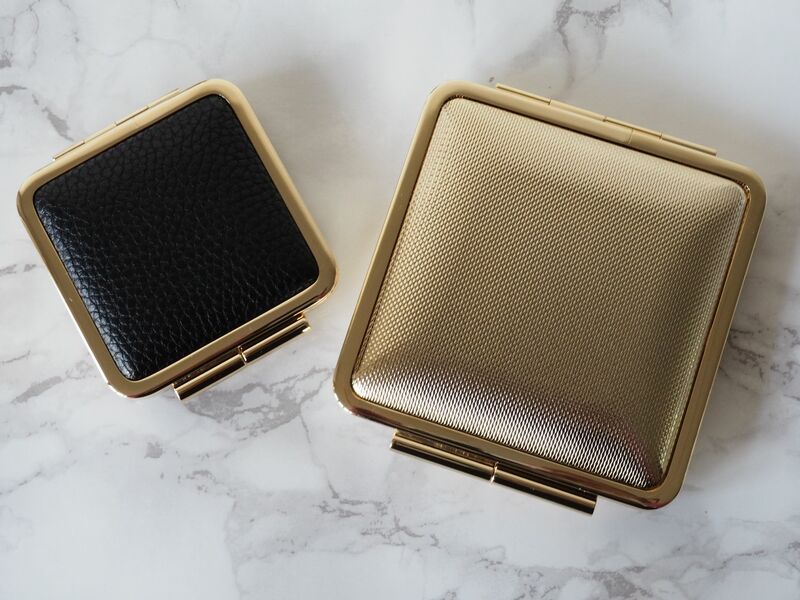 What product from the collection would you recommend someone who was buying from Victoria Beckham and Estee Lauders range for the first time?